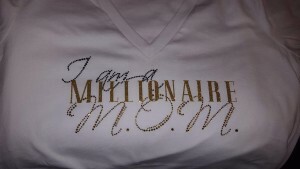 Mom Store—For Mommies Not Afraid to Make a Change! Being a mom is tough. Even though a child is a blessing to have, it leaves some mothers in a big gigantic financial mess. They do not have to keep piling burden after burden on top of them. It is time they take control of their life to stop it from unwinding even more because there is only so much one can take. Look for change and look towards me to help you make that change. To help you make the transformation needed to regain control of your life, I have compiled all the lessons, tips, and strategies that aided me along the way in several books with more to come. Through these books, I have shared everything that helped me become a Millionaire M.O.M. and can help you become one as well. 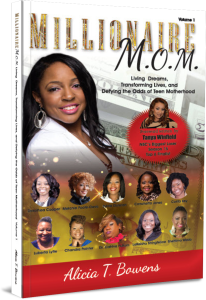 Alicia Bowens, author, business consultant, speaker, life coach, single mother, and most importantly, a success story, has collected and combined stories of teen moms who faced poverty, abuse, and rejection in her latest volume. These mothers found their voice and were able to defeat their demons by conquering their obstacles by eliminating their negative thoughts, tying them down. These teen moms – now adult women – share their inspiring stories in the hopes of waking another young mom’s suppressed dreams and encouraging her to write her own inspiring story. When you have a child at a young age, you feel isolated and ashamed. You want to surrender to life. Before you can raise your hands up in defeat, understand that not all is lost. This is not the end, but it is the beginning of a new chapter of your life. Success is still within reach. Let me show you want you can achieve by sharing with you my story and experiences. Together, we will go on a journey of self-discovery where you will shed the skin of hopelessness for hope. I want to show you the path to achieving your dreams and create a financially stable life, free of poverty, for you and your child! 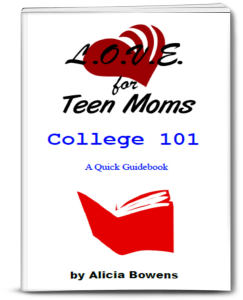 Most often, teen and young mothers quit school, thinking that with a child, completing high school and going to college may not be out of the question. 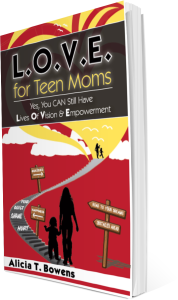 Through my self-published book, I aim to change this common mindset amongst teen moms. 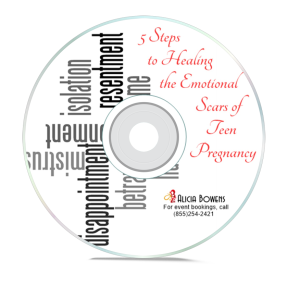 Shame, isolation, and doubt are common feeling most teen mothers feel. They kill any aspirations they once had, thinking that there is absolutely no hope for them anymore. They are wrong about themselves. They are wrong to doubt their abilities. They are wrong to abandon their dreams. Let me take you through five steps to heal your emotional scars and empower you to run after your dreams. Your vision board is ready, which means you are ready to go. You are ready to step into your new reality. To give birth to a new reality where you are strong and empowered, I have listed five steps to create a strategy. With these five steps, you will be on your way to embrace your new reality with open arms.